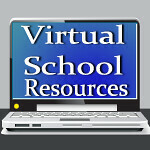 Virtual School Resources: Back to School Bash in August! Back to School already? 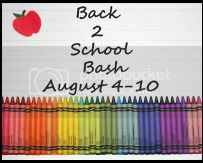 Don't worry, most of us still have another month of summer vacation, but the back to school bash is heating up! I am so excited to be participating in this great event hosted by Trista from Andersons Angels, Jess from MomVantage, Shannon from Mommy of One and Counting & Courtney from Joy of Momma Joyner!! Let's have a blast getting our kiddos ready for school!